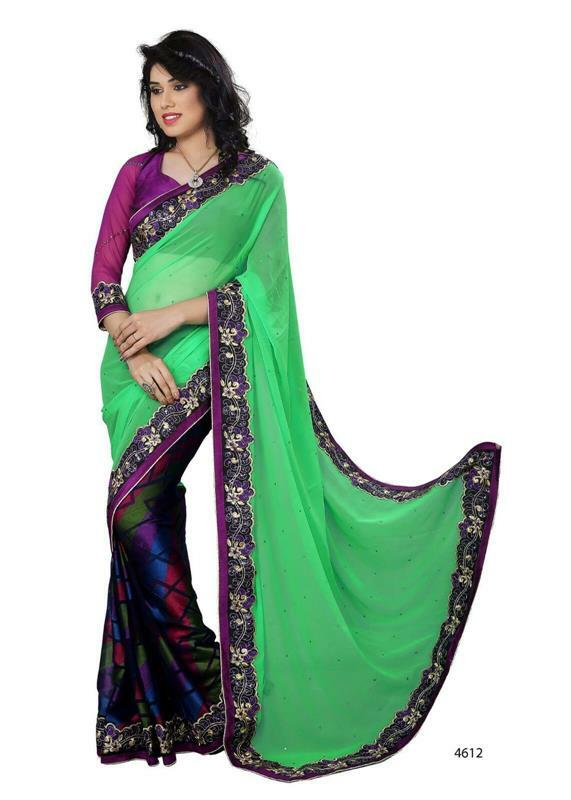 The green colored plain saree for simple and graceful look. The saree is having golden rich L shape kasab work pallu and plain kasab border that bestow it most sober look. It comes with unstitched pink blouse fabric.